50 Cent has been on that salty with Kanye West probably this not the first time he is taking aim on Ye. 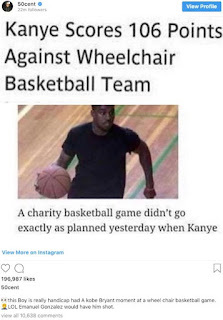 The troll master has found new awful fondness to slam Kanye west after battling with some few artist. The G-Unite rapper was reported following his fake and swirling news he split out on Kanye. Fidy took his IG account and cause another commotion under Kim husband. 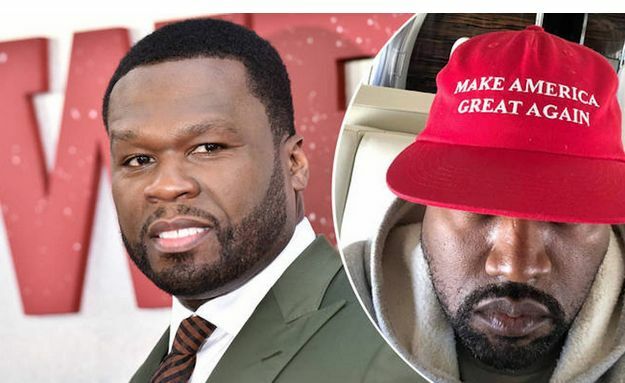 50 Cent recently got called out on Instagram for helping to spread a piece of fake news about Kanye West that has been making the rounds online for the past few months. The rumors are about Ye scoring 106 points in a charity basketball game against a wheelchair basketball team. The G-Unit chief even shared an image of the story on his Instagram page.